CEC is running place workshops to ‘discuss Place Action Plans’, to help meet the priorities set out int he North East Locality Improvement Plan. 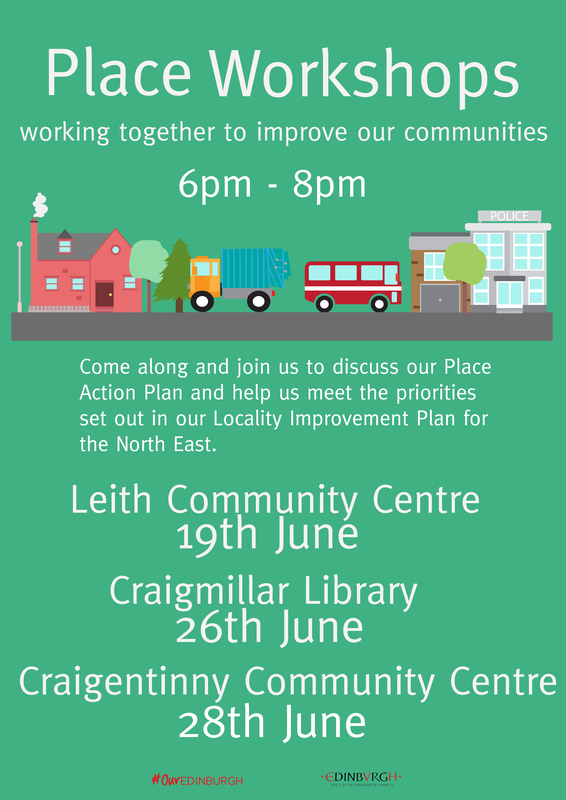 The one for LHNCC is 6pm to 8pm, on 19 June, at Leith Community Centre. This entry was posted in LHNCC area, planning and tagged Edinburgh Council, locality improvement plan, Planning. Bookmark the permalink.